If you have been looking into sunrooms for your home, you’ll want to come to PAsunrooms. We offer sunroom and window additions in Harrisburg, Lancaster and other locations throughout Central PA. We have exclusively sold Four Seasons Sunrooms products for 30 years, and stand behind their beauty, reliability, and functionality. We recognize their unparalleled quality and support the wide variety and selections of sunrooms that you can pick from. Quite simply, whether a sunroom is described as a three-season or four-season sunroom is a reflection of how much of the year you can enjoy your sunroom. A three-season sunroom can be enjoyed in the spring, summer and fall, while a four-season sunroom can be enjoyed in winter as well. If you wish to enjoy the outdoors from the comfort of your home all year ’round — even in the cold winter months — you want a four season sunroom. We proudly and exclusively install all season sunrooms from Four Seasons Sunrooms and Windows. In large part, this is due to our energy-efficient CONSERVAGLASS SELECT™ glass. This glass is extremely strong and heavily insulated to limit heat transfer from your home to the outside. Even in winter, your indoor heating will keep you nice and warm in your sunroom. You can enjoy watching the snow fall or just sit back in your year-round sunroom and admire the snow-white ground while the winter sun shines in. 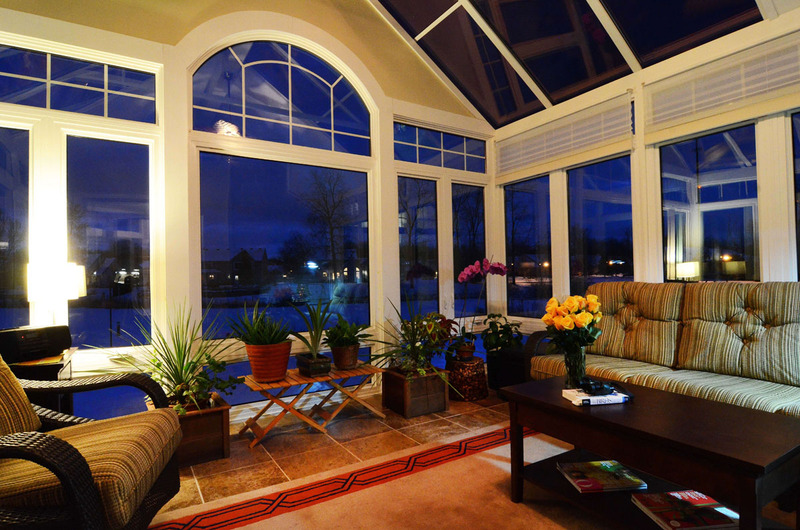 At PAsunrooms, we feel you should be able to enjoy your sunroom any day of the year. In fact, winter may be the most important time to utilize your sunroom. People are known to suffer from depression in the winter in part because of a lack of available natural light. It not only gets darker earlier, but because of the cold, people also go outside in the sun less often. But when you have a four-season sunroom from Four Seasons Sunrooms, you and your family can get that beautiful natural light any time you need! We’re happy to answer any questions you may have about four season sunrooms or sunroom additions in general. We’re also happy to help you get started with a free in-home consultation with no obligation to you. 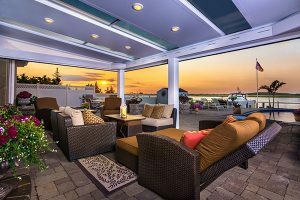 If you are looking for a year-round sunroom near Harrisburg or Lancaster we will send one of our sunroom professionals to look at your home and help you design a plan for the custom sunroom you want to add. We can then provide an estimate on the project — also free — and, with your approval, get started soon after. Before very long, you’ll be enjoying extra space and more natural light whenever you want it. To begin, just fill out this easy online form and submit it or call us toll-free at 717-564-2244 today.